Cantaloupes may not be as popular as other fruits but they are not behind when it comes to health benefits. In fact, this tasty yet odd-looking fruit shares the same family with melons, cucumbers, pumpkins, and gourds, is packed with nutrients. Cantaloupes are popular for their beta-carotene content. 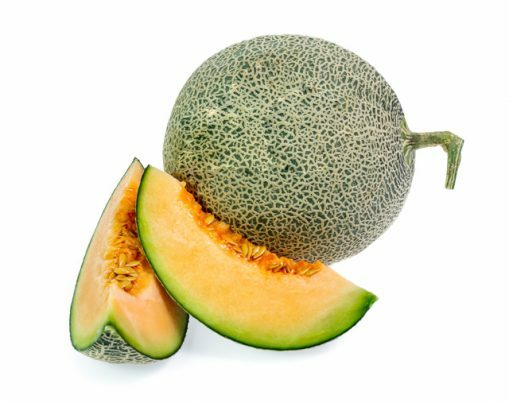 In fact, cantaloupes are known to have more beta-carotene than grapefruits, apricots, tangerines, oranges, peaches, mangoes, and nectarines. They may even share the same amount of beta-carotene with carrots. Carotenoid is beneficial because when converted to vitamin A, it aids in improving vision. It also effective in fighting free radicals to ensure you have a healthy immune system. These may also have anti-cancer properties. Vitamin C may have positive effects in preventing cancer along with asthma and diabetes. Folate is also believed to be effective in staving off cancer cells. Beta carotene has also been shown to have a significant effect in preventing prostate cancer. Regular intake should also help you prevent constipation and lower blood pressure. This should minimize your risk of suffering a stroke as well as kidney stone formation, muscle loss, and bone demineralization. Zeaxanthin is an antioxidant found in cantaloupes. This helps filter out blue light rays and is believed to have a significant role in warding off macular degeneration. Eating three or more servings of cantaloupe daily should reduce the risk of age-related macular degeneration. You can also lower your risk of asthma by eating this on a regular basis. We all know that fruits and vegetables are good for the skin. Cantaloupes contain plenty of vitamin A, which is essential in sebum production. Sebum helps keep hair and skin moisturized. The fruit also helps keep the body hydrated, which is also important in maintaining healthy and young-looking skin. For a healthier cardiovascular system, make sure to include cantaloupes into your diet. Its potassium and fiber content can help treat hypertension and protect you from any incident of stroke. It’s also beneficial to your respiratory system because of beta carotene that help prevent asthma. Additionally, the fiber content is very helpful in taking care of the digestive system. It prevents constipation and keep you from binge-eating because you’ll feel fuller longer. Those who exercise will love cantaloupes because these promote proper muscle contraction. The potassium will also help replenish electrolytes depleted during exercise and promote nerve health. Speaking of depletion, cantaloupes keep the body properly hydrated, which is important in staving off kidney stones. Staying hydrated will help you avoid dizziness, constipation, dry skin and mouth, less urination, rapid heart rate, shriveled skin, low blood pressure, and unconsciousness. The great thing about these fruits is they’re so easy to consume. You can eat them as is or make smoothies or shakes, salads, or salsa. Here are other ways to enjoy this fruit. Cantaloupes can improve eye health and prevent macular degeneration. Cantaloupes can boost the immune system and keep you from getting sick. Cantaloupes can prevent prostate cancer, diabetes, asthma, and stroke. Cantaloupes can improve digestion and prevent constipation. Cantaloupes can strengthen bones and stave off osteoporosis. Cantaloupes can prevent kidney stone formation. Cantaloupes can give you younger-looking and healthy skin.